Who: This is the debut album from LA’s Flat Worms which is comprised of Will Ivy (Dream Boys, Wet Illustrated, Bridez), Justin Sullivan (Kevin Morby, the Babies) and Tim Hellman (Thee Oh Sees, Ty Segall, Sic Alps). 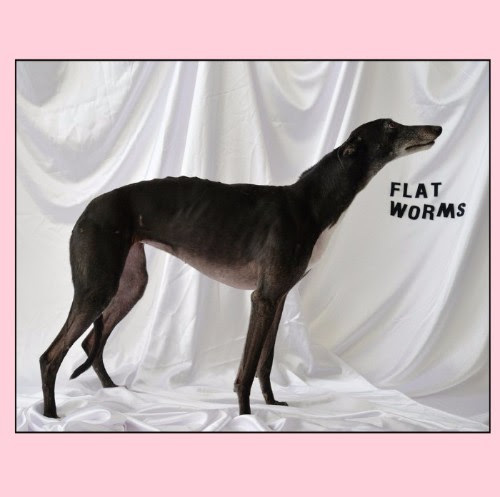 Sound: Flat Worms are a blast of smart buzzing post punk that you will hear pieces of bands like Wire, Parquet Courts, Wipers, Thee Oh Sees and Protomartyr. TFN Final Take: Sometimes no-frills rock is what you need. That is exactly what the Flat Worms debut offers, as this trio rocks out full guitar fuzz to the wall. The band has members that have played with Dream Boys, Thee Oh Sees and Ty Segall, so their sound is as advertised and their style is really tight. Flat Worms have intricate riffs that constantly work in the background, which keep the pedal to the floor. It doesn’t matter if the track is about a motorbike, a pearl, the faultline or 11816, Flat Worms keep you energized to the end where you don’t even really concentrate too hard on their lyrics. 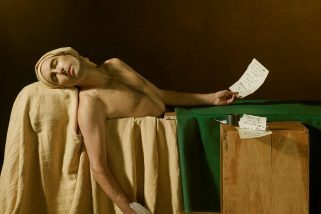 By the time you get to their over five-minute monster closer, “Red Hot Sand,” which originally appeared on their Volar records 7” debut, you will be sold on Flat Worms and ready for another round. If you are into post punk and the modern era of garage then Flat Worms are a band that should be added to your rotation.